I was in Salzburg visiting friends and I was there for the marathon weekend so I decided to take part in the 10 km race which was part of the marathon weekend. 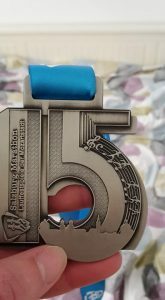 Other races happening that weekend were the Friday night 5 km, Saturday morning breakfast run, Saturday evening 1 mile children’s run and the marathon and half marathon took place on the Sunday along with the 10 km. On the Thursday I decided to run the route that we had walked that morning and include a lap around the lake, this route was relatively flat but included a climb up to Hohensalzburg Fortress and steps down to the city. Even though I took this run relatively easily, well until I was nearly home, it felt really tough as my legs were heavy and I was struggling to control my breathing. The hill felt like a mountain and I stopped at the corner before I reached the top, this shouldn’t have happened as I tackle small hills like that all the time. I put how I tough I found this run to be down to the fact that Salzburg is 1390 feet above sea level, so in my mind I decided that on Sunday I would still be aiming for around 52 minutes but in fact it would be closer to 55 minutes. Which meant what happened on Sunday came as a shock. Maybe it was being on holiday but I was not particularly nervous about the race, it would just be fun to see the city from a different angle. I did start to panic that I would miss the start as the que for the toilets was slow moving, it wasn’t long just didn’t move. I knew it didn’t matter if I missed the start as the race was chipped timed but I have never missed a start and I didn’t want to start now. We made the start with seconds to spare but this meant that we were right at the back and made the first half a mile tough going with all the overtaking I needed to do. By the time we had made it around the lake I had managed to overtaking enough people to have space to settle in to my rhythm and of we ran in to the residential streets of the city. The pace I settled on felt good until I looked at my watch and then realised that this was faster than I had planned to do, as it felt OK I decided that I would continue at this pace for as long as I could. There was good support out on the streets from local residents, they were handing out sweets and there was a young boy playing his trumpet for us. What was nice was that I was running along parts of the city that I had in the days previously had walked along including passing along the road at the bottom of where we were staying. I had managed to keep my pace going although the slight incline towards the brewery killed my legs, just a little. With no immediate slight downhill to follow this incline, I just had to dig deep and keep up the pace. Pass the brewery (which we would later that afternoon visit the beer garden) and we turned a corner and that slight downhill was here, it was nice to open up the legs and have a slight breather. Still running downhill we entered a tunnel which was cooling and it brought us out on to a bridge at the top of the river and by this point I was finding it really tough to pick up my pace like I would normally do in the last mile. As we passed the 9 km marker I did try to kick and run faster which I did only briefly until we turned the corner and found we were running up a short steep incline. If you were walking you probably wouldn’t notice this little hill but the way my legs were feeling this just finished me off and after this I could not get below 8 minute miles. At the top of the hill we turned right and you could see the finish line in the distance, just a long straight stretch first to conquer. This finish reminded me of the finish at Barcelona and how the last 200+ meters seemed to take ages to run. I was done but I knew I had to keep going, I didn’t look at my watch to see the time as I was too busy concentrating on not running in to the barriers at the side of the road, which I found that I was running really close too. At the start of the red carpet which led right to the finish line, I managed to pick up my pace and do a sprint finish and I even pipped a man to the finish. At the end I knew I had given it my all and was so shocked to finish with a PB of 50.26 minutes, 193/771 runners and 25th female out of 383. I still can not believe that I am so close to getting a sub 50 minute 10 km, the busy start maybe have hindered it this time, or if I had looked at my time at 9 km not just my pace then it might have given me the energy to pick up the pace. I will just have to wait a little longer for a sub 50 but I am aiming for this year. The weather at the start of the race was over cast but warm, however by the finish line it was humid, hot with bright sunshine. The 8.45 am start of the race was at a lake which belongs to Leopoldskron Palace which was the main location for The Sound of music. 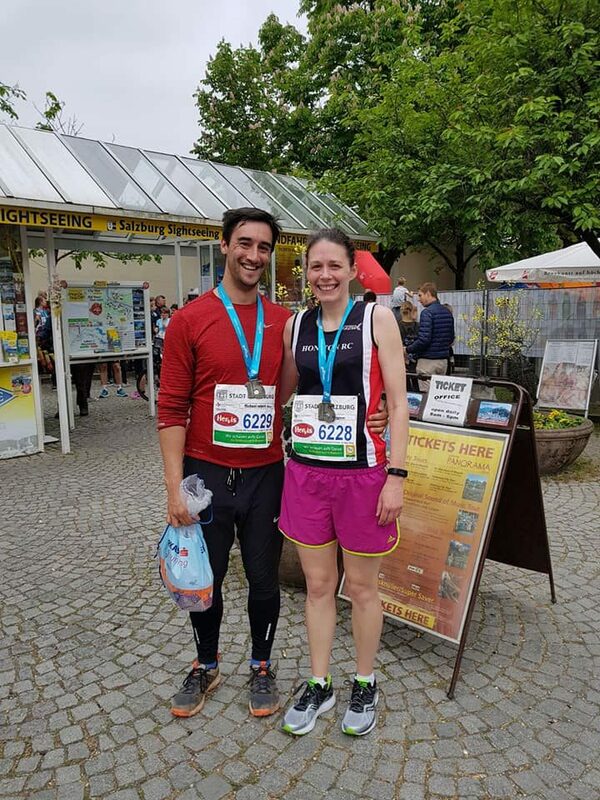 You did a lap of the lake before heading on to the residential streets of Salzburg, the route looped it’s way through quiet tree lined streets, with residents supporting you with music and sweets. At around 8 km you enter a tunnel which brings you out on to a bridge at the top of the river, after crossing the River Salzach you are at the 9 km marker. After turning the corner you are faced with a slight hill, which is nothing, literally it is a mole hill but at this point it seems much steeper than it is. At the top you turn right and you can see and hear the finish at the Mirabell Palace, a carpet leads you in on the home straight and the finish line. The good thing about the route that it was very flat except for two small inclines, plus it is a good balance of windy and straight segments and with the straight segments not being too long to be taxing on the mental side. You went to collect your number on the Friday or Saturday at the marathon expo, here you got your race bag with your number on it plus a Salzburg Marathon towel. At the finish of the race you were presented with a great medal, although the medal was the same design for the 10 km , half marathon and marathon. Due to this being a big city event the organisation was excellent, both on the day and also at the expo. At the expo there were staff directing you to the right floor, collecting your number was a slick operation too. At the start of the 10 km there was a lorry to take your race bags to the finish, there was a water station which had water available for us even though it was a station for the half and marathon. The only slight negative is that they only had 6 porta loos which meant there were long ques especially when people were changing in them. The organisers posted regularly during the marathon weekend with lots of information on the expo and all the various races that were happening that weekend. 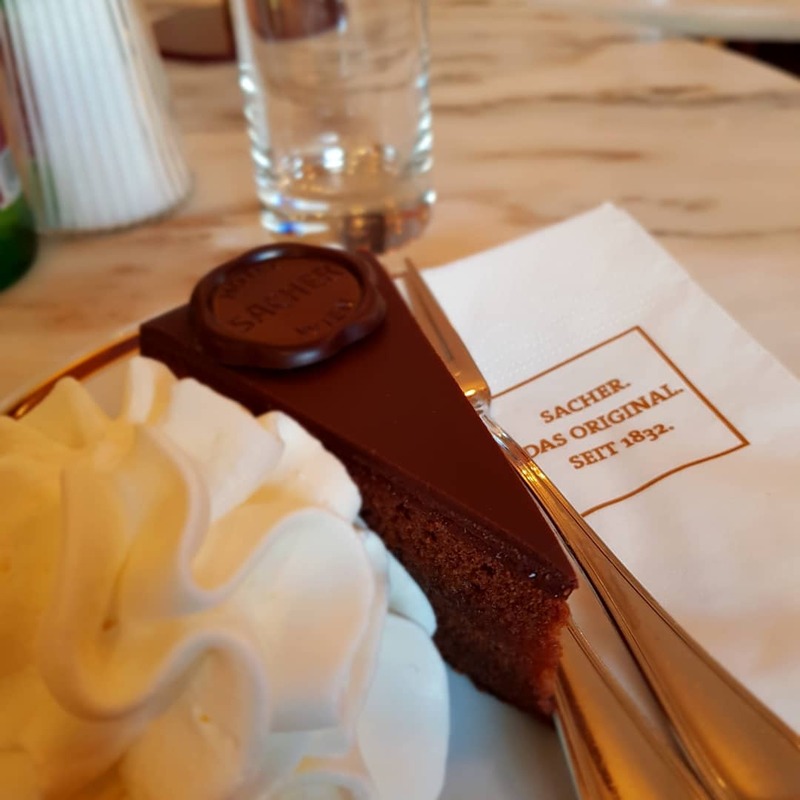 Yes I would recommend it if you are looking to race whilst having a city break, as Salzburg is a stunning city, people are friendly and the food is really good. There are a few races to choose from so there is something for everyone, young and old. The marathon weekend kicks off with an after work 5 km, Saturday morning there was a breakfast run so you explored the city with other runners and then had breakfast. For the children there is a mile run on Saturday evening that catered for all ages and they got a medal. Then on Sunday you have the 10 km, half marathon or the two lap marathon. The 10 km was 35 euros which is expensive and you don’t get a t shirt included in this, I am comparing the cost to local races that I do here in the South West but maybe I am spoiled down here. In comparison to the cost of other big city races then it is on the par with these. You can fly from Bristol Airport but it is not direct so you do have to fly out of a London Airport for direct flights, as we did flying from Gatwick. 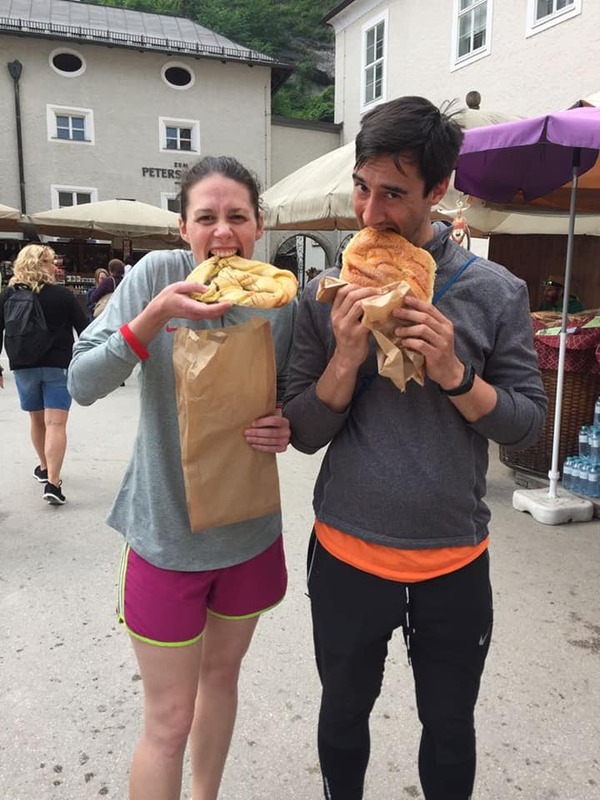 Lets finish this report about the food in order to tempt you to travel to Salzburg and race, there a lots of markets selling fresh produce, huge pretzels ( we had one post race, well another one), other pastries such as apple strudel, then you have got schnitzels and sausages. You have to try these next two sweet treats as these are famous in Salzburg, Sachertorte at Hotel Sacher and Salzburger Nockerl.